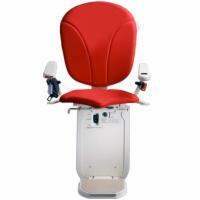 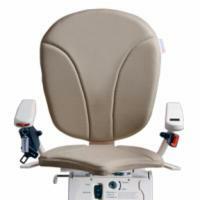 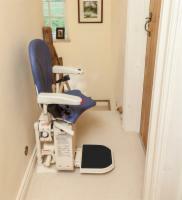 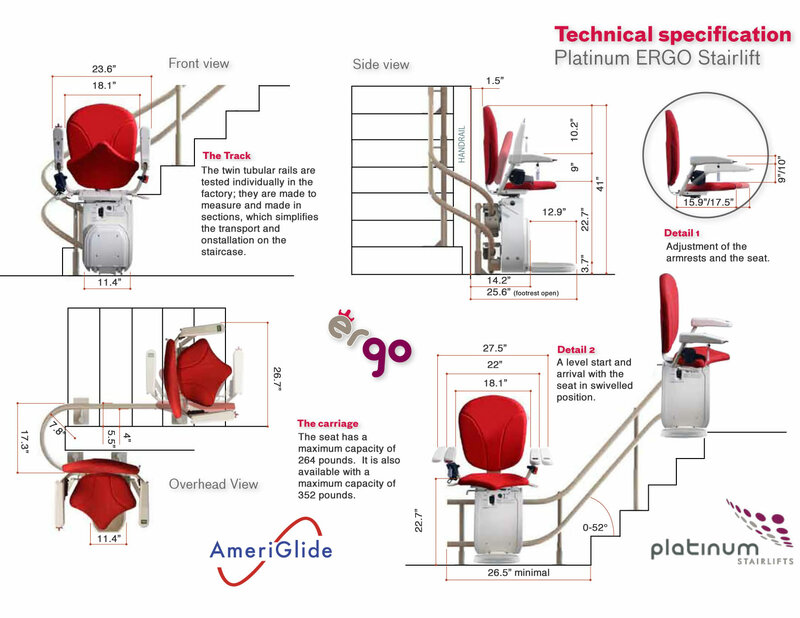 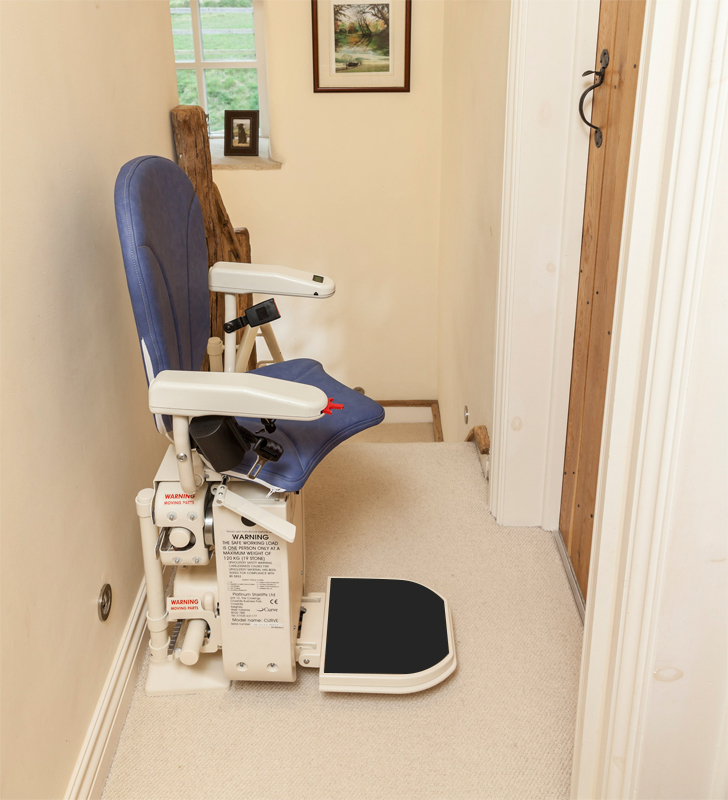 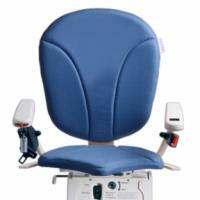 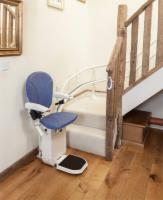 Buying a demo AmeriGlide Platinum Stair Lift will save you thousands of dollars without sacrificing quality or safety. 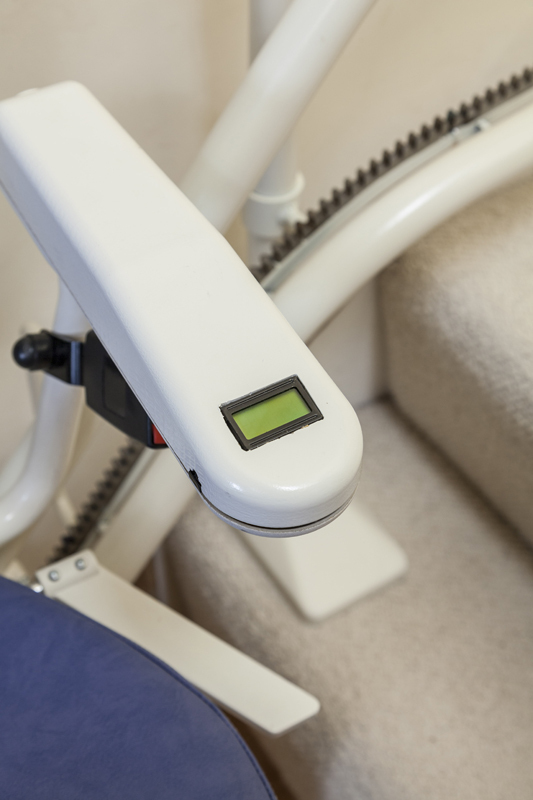 Our Platinum Stairlifts are completely customizable for your unique staircase. 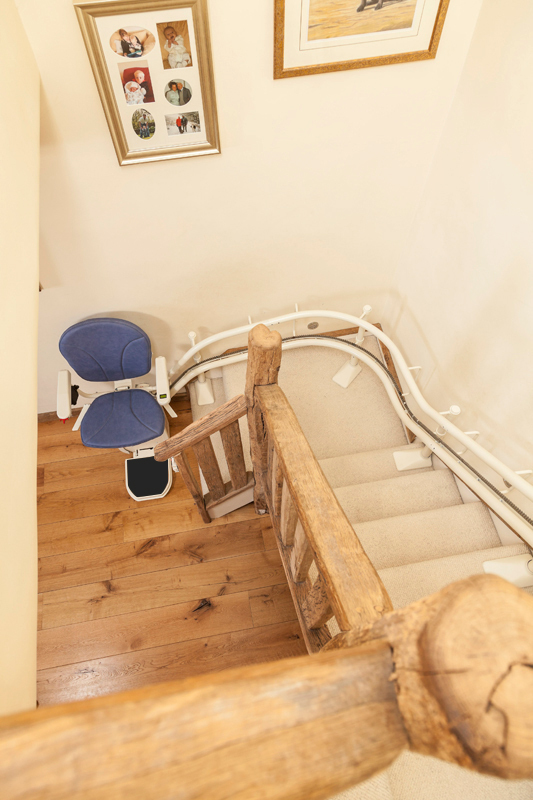 Whether you have a spiral staircase or one that features, 90-degree curves, 180-degree turns, or any other type of design challenge, we can design a lift especailly for your home. The Platinum HD has a 352 lb. 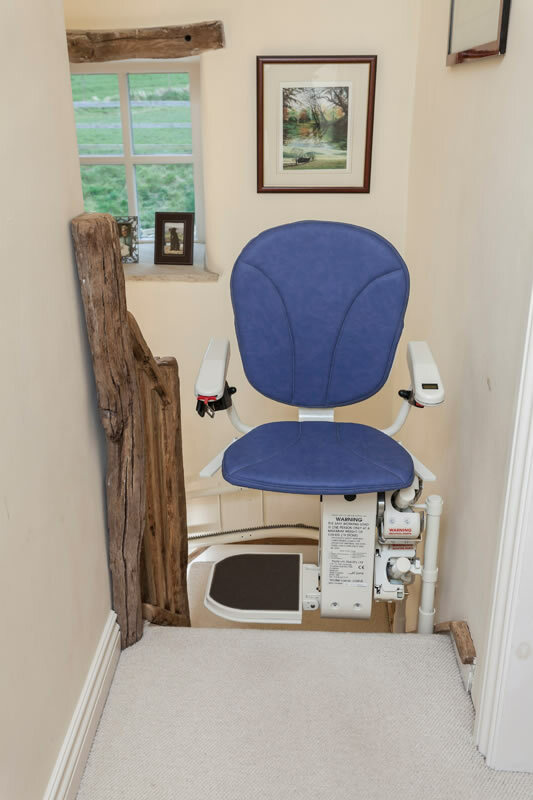 weight capacity and a long list of available options to further customize your lift. 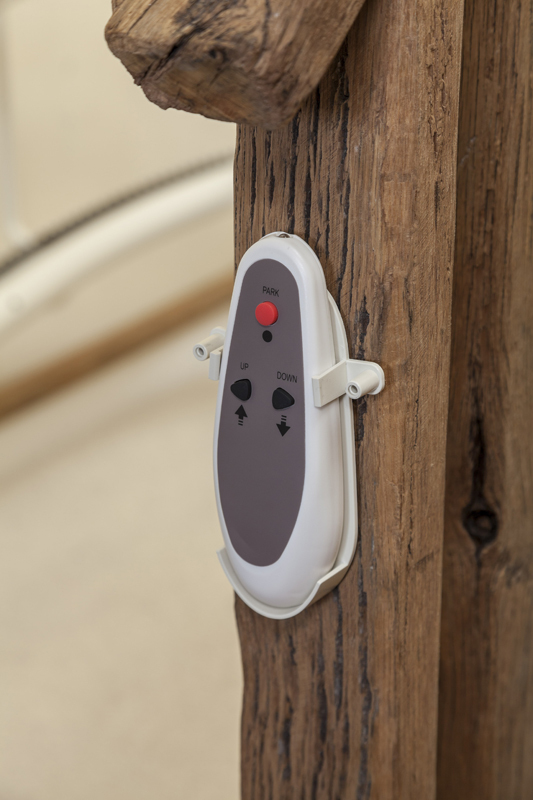 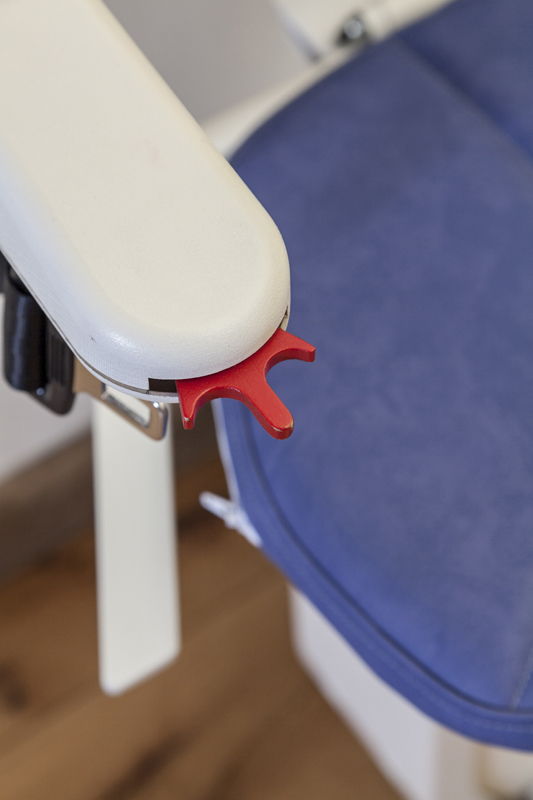 You have the choice of two different types of seats, three colors to match your home's decor, electronic or manual footrest, and much more. 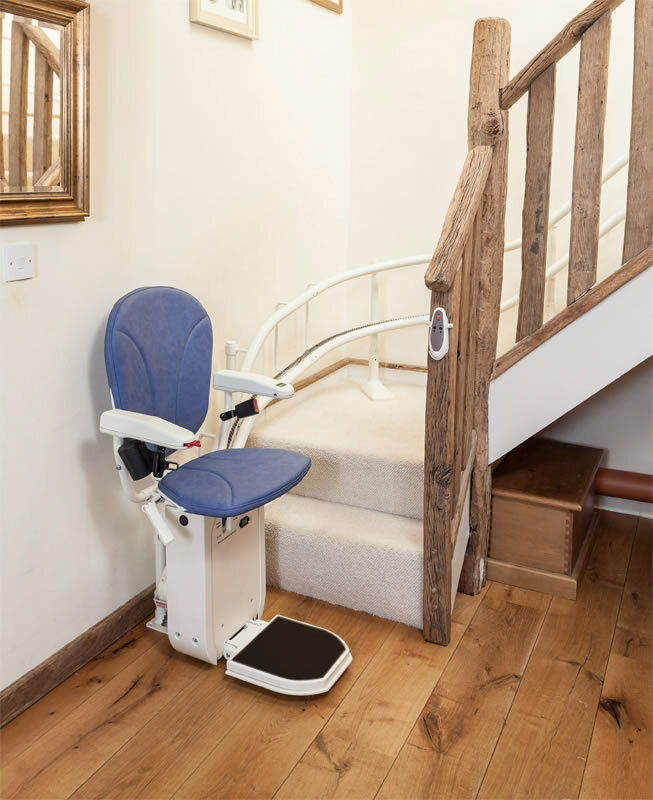 Give us a call today to learn more about the amazing Platinum Curved Stair Lift and take advantage of the savings available with a demo model!